A company man turns his back on his employer to protect what really matters... his family. The man in horn-rimmed glasses, Mr. Bennet, has dealt with many individuals with fantastic abilities. Most were faceless entities, those to be "tagged and bagged". A very few became friends. And one he would encounter early in his career, who would become the most special person in his life: the girl called Claire. After watching his house catch fire and his daughter heal, Mr. Bennet is given one hour to turn Claire over to Thompson. 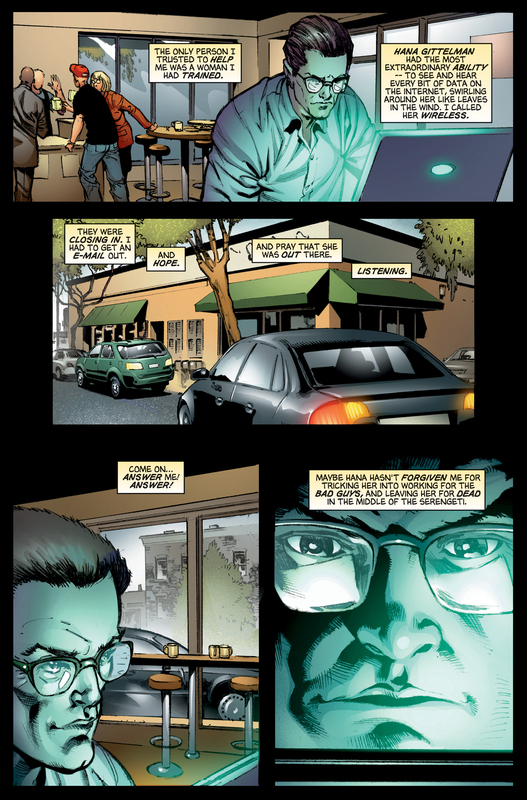 Suspecting that the Company is following him, Mr. Bennet ducks into a coffee shop and sends an electronic message, hoping Hana will intercept it. She replies in kind, agreeing to help out the man who left her for dead in Tanzania. Mr. Bennet leaves the coffee shop, and heads for the bridge, where the Haitian shoots him and erases his memory. Hana travels on US Route 66. According to Historic Route 66 Facts, the highway has been decommissioned since 1985. 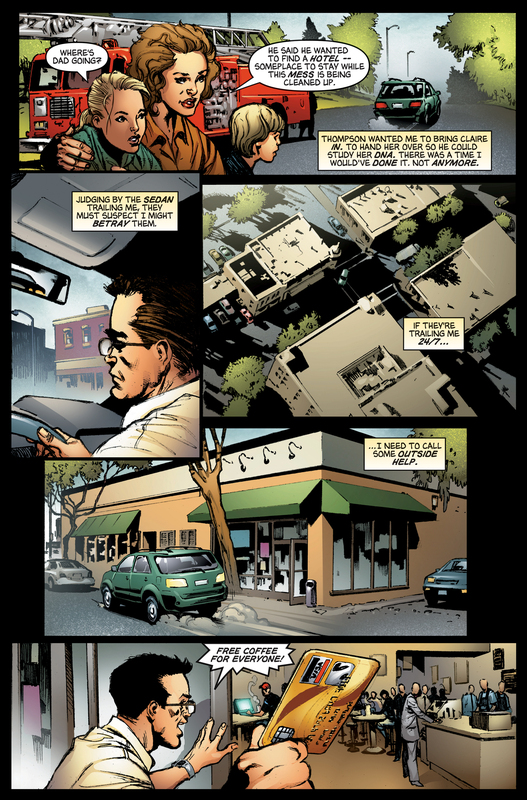 On the last panel, Mr. Bennet is lying shot in the road, not on a bridge. The artist, Staz Johnson, lives in the UK so Heroes had not yet aired, and he was not told that Mr. Bennet was shot on the bridge. 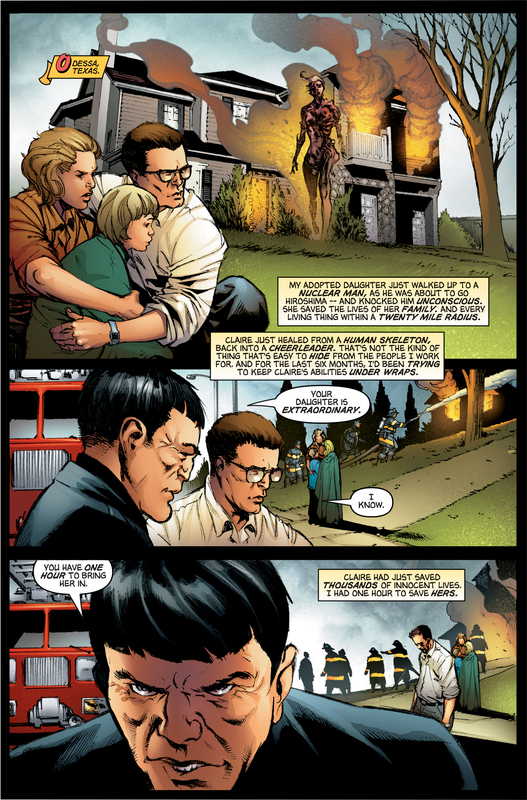 This graphic novel tells the story of what happened to Mr. Bennet between the time that his home was destroyed, and he was shot on the bridge, both scenes that were shown in the episode Company Man. 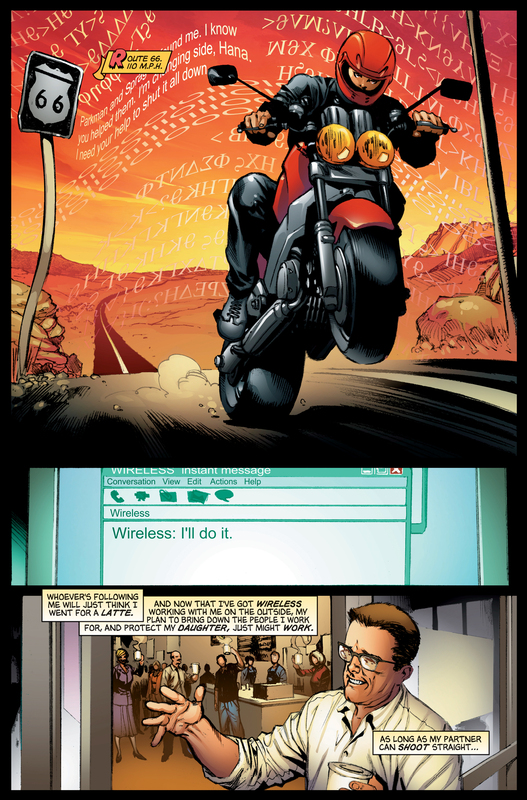 Both this graphic novel (#23), and its predecessor (Hell's Angel #22) share the same introduction which reads, "The man with the horned-rimmed glasses, Mr. Bennet, has dealt with many individuals with fantastic abilities. Most were faceless entities, those to be "bagged and tagged." A very few became friends. And one he would encounter early in his career, who would become the most special person in his life: the girl called Claire." For images from Family Man, see images from Family Man. 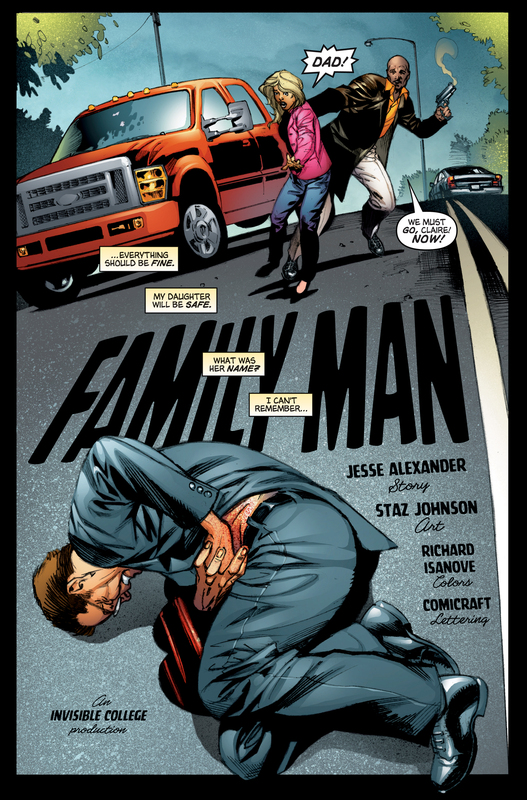 For the transcript from Family Man, see the Family Man transcript. This page was last modified on 22 October 2015, at 18:32.